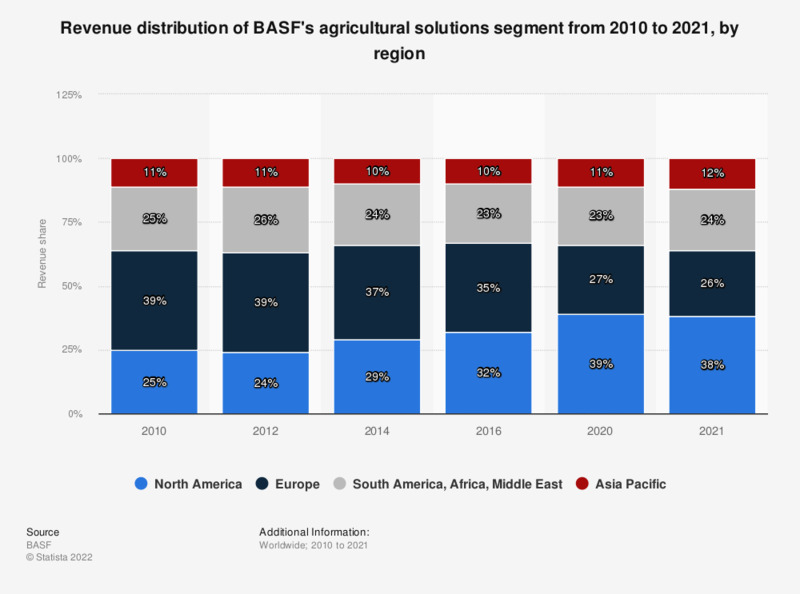 This statistic shows the revenue distribution of chemical company BASF within the agricultural solutions segment (formerly known as the crop protection segment) from 2010 to 2018, by region. In 2018, this BASF segment generated 35 percent of its total revenues in Europe. * The Agricultural Solutions segment was formerly called Crop Protection.